The Society of Animal Artists (SAA) and the Susan Kathleen Black Foundation (SKB), have come together to create one of the most amazing workshops ever. You can study with one artist - or "free flow" between different instructors. 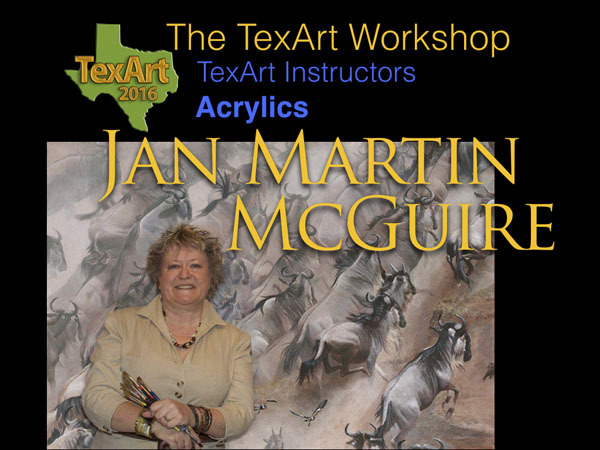 This is the FIRST workshop ever where Jan will go in depth into painting with acrylics, from how she gets her ideas all the way to tricks for creating realistic organic textures.